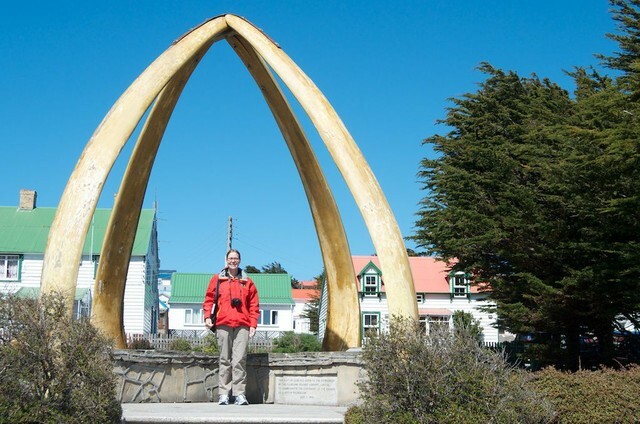 On November 10, 2011, it was with great excitement that I wrote in my travel journal “First penguin!” The Falkland Islands were the first stop on our trip, followed by South Georgia and then Antarctica, and on our first day there, on Carcass Island, we were welcomed by penguins. 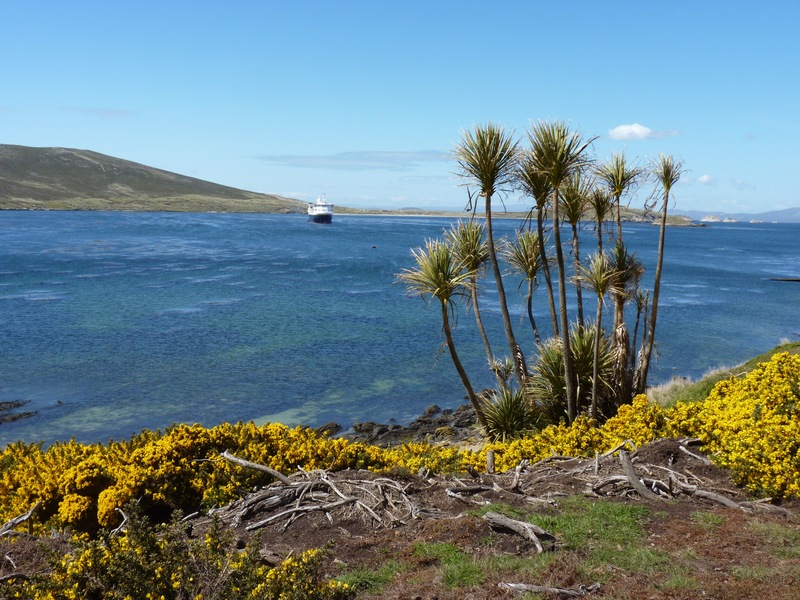 In the Falklands we saw two kinds of penguins that I haven’t covered in my other posts about the trip. 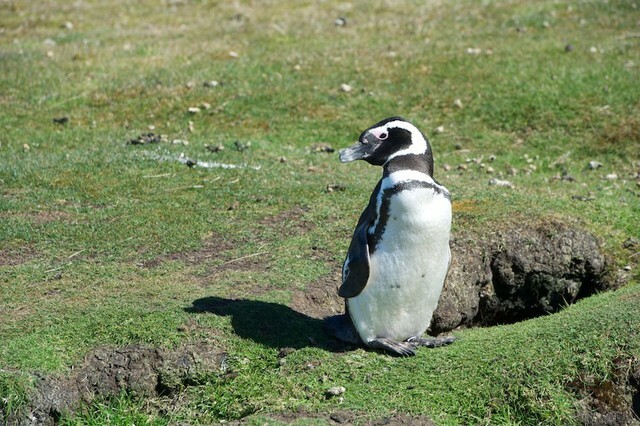 First up: Magellanic penguins, which we saw on Carcass Island. I won’t leave you hanging. 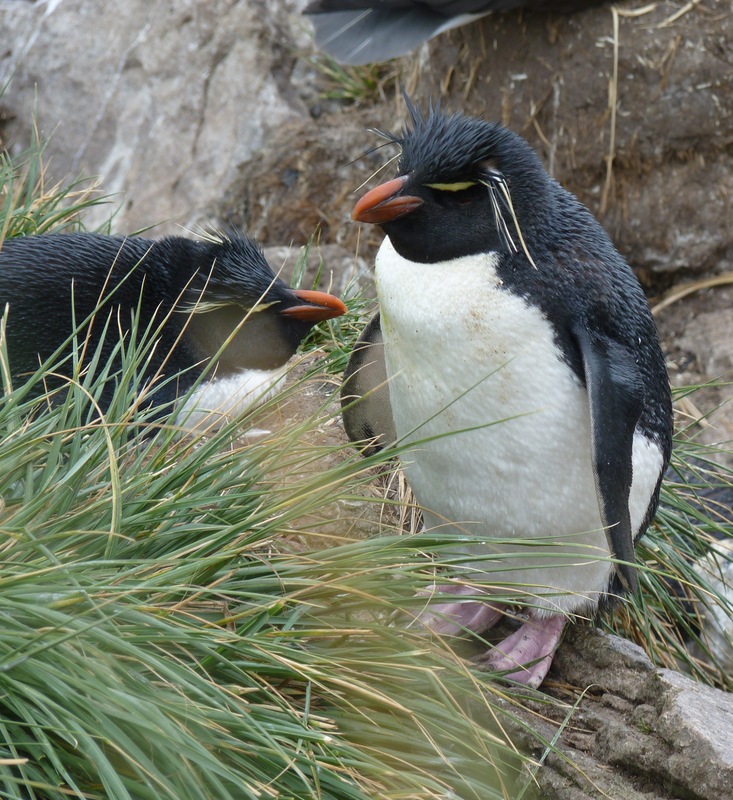 The other type of penguin that we saw was the Rockhopper, which were on West Point Island. I probably shouldn’t pick favorites, but since I know none of the penguins are reading this, I’ll admit that I think the Rockhoppers were the cutest. The crazy hair won me over! 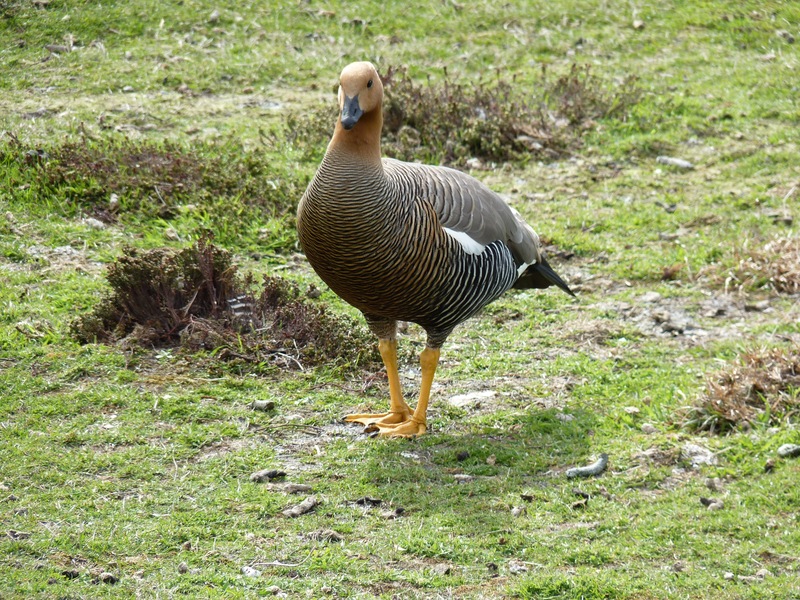 Also on Carcass Island, we saw the Upland Goose. And this guy. 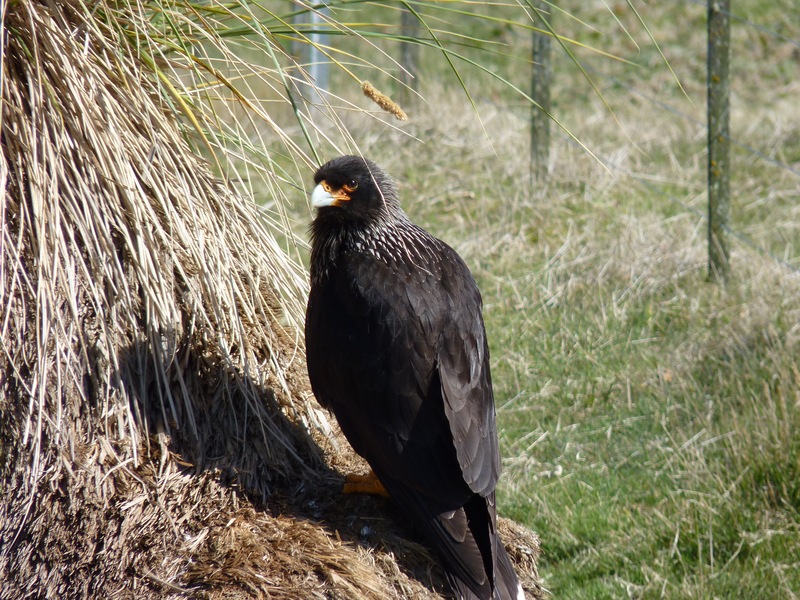 I made a note that it’s a rare raptor, but I don’t know the name of it. Bird watchers, you have my respect – I just can’t keep up with all the birds. 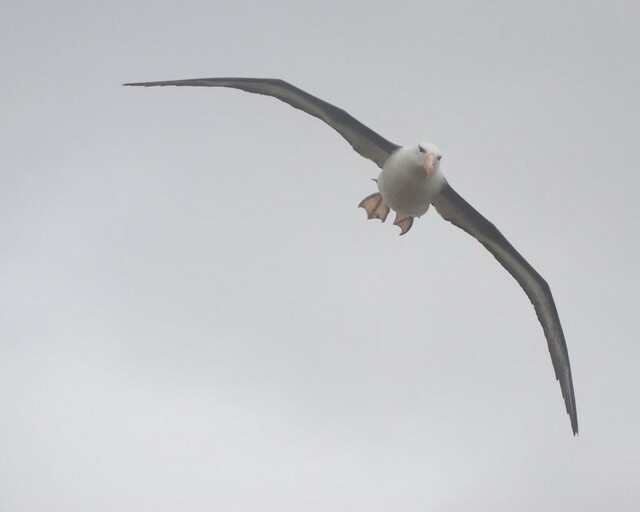 Here’s an albatross in flight. The wingspan of an albatross is about 10 feet. Big wingspan, big droppings – I’ll spare you the photo of what happened to me, but let’s just say that I’m grateful I had my hood up! It was a nice day, yet not quite as tropical as this photo makes it look. It was pretty windy most of the time. In Stanley, the capital, we took a bus tour of the city and spent some time walking around town on our own. 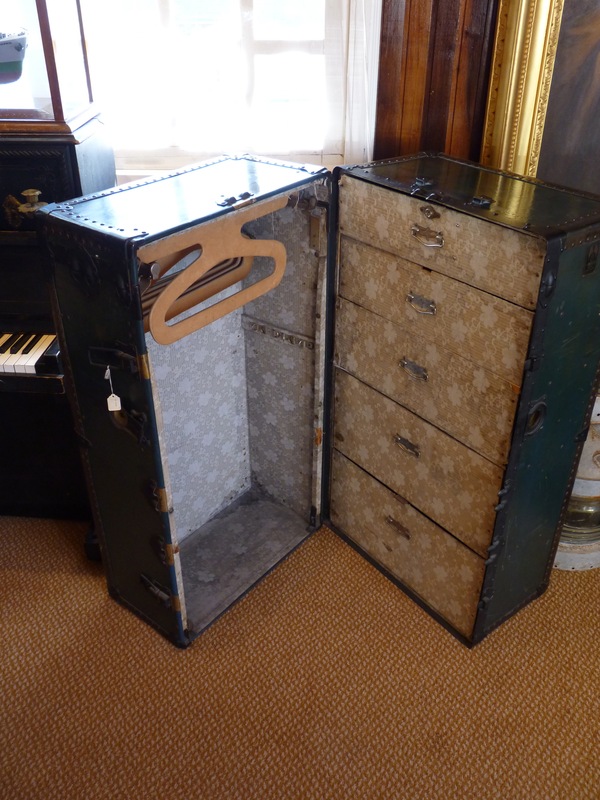 There were lots of gift shops, so I bought a few things and sent some postcards.We visited the Falkland Islands museum, where I looked longingly at this trunk. Oh, for the days when there were no checked bag fees! 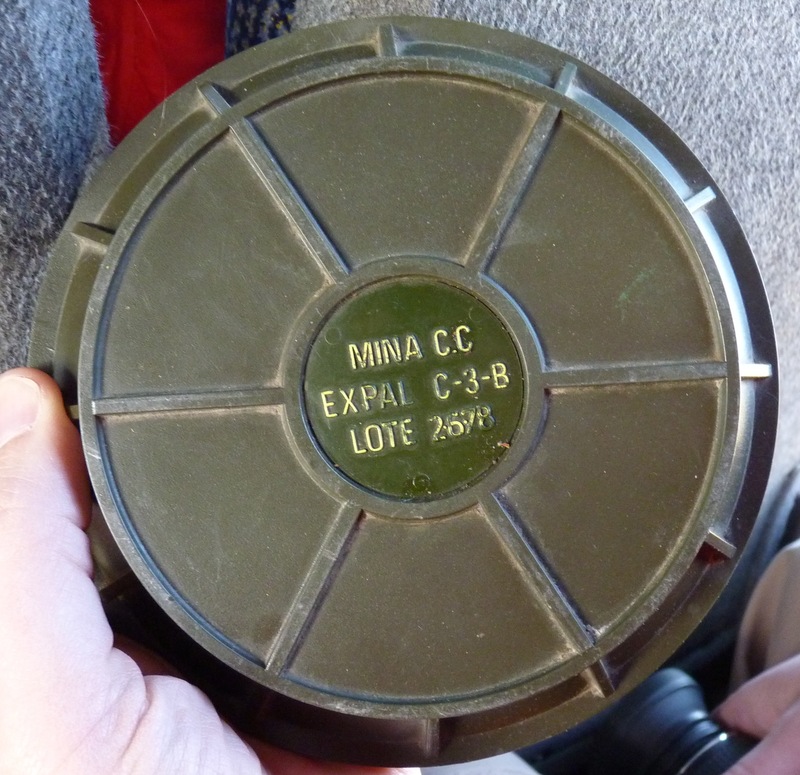 Our tour guide passed around this landmine, a reminder of the war between the UK and Argentina.This one was inactive, thankfully. Here’s the whalebone arch. These are jaw bones from two Blue whales. We did see some whales on the trip, but nothing nearly that large. Whales or not, the penguins were still the star of the show for me. I’ve covered all of the ports of call on our trip, but there’s more to come! Gorgeous – now I want to go there. LOVE the look of that goose! How beautiful!!!! I love all your trip photos. So cool!! What an amazing holiday! That photo of the albatross is stunning, and the penguins are all so cute. Consider this trip on my wish list! Those rockhoppers are so cute! 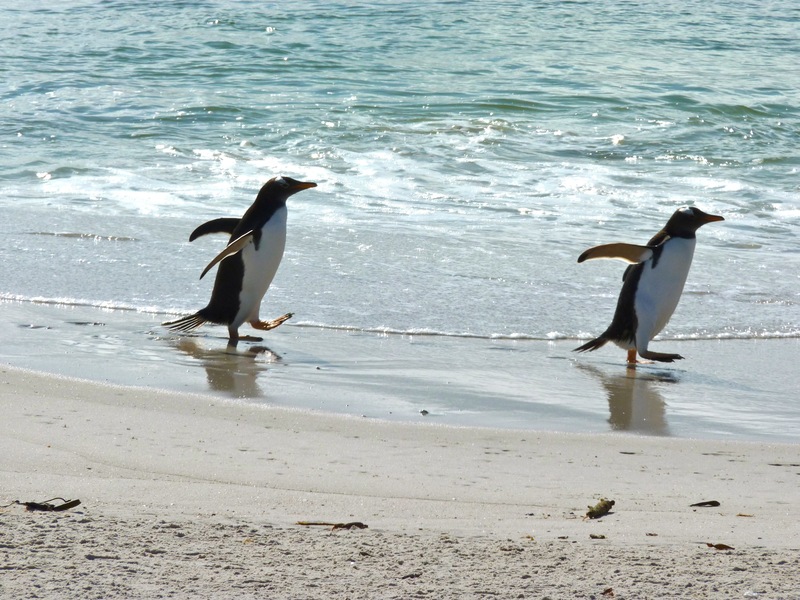 I’ve been to the falkland islands once, but I only saw the magellanics. Also ate fish and chips in Stanley…that was fun. I can see why the spiky haired guy would be your favorite, but they are all so cute!